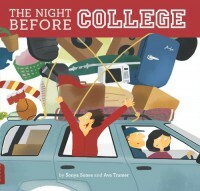 The Night Before College is a clever little book using "The Night Before Christmas" poem as the rhythm for "The Night Before College." It tells the tale of the agony of SATs, Common Applications, FAFSAs, and of waiting to hear if one got in to the school of one's choice. After the acceptance, it moves into the angst of packing and leaving home, and the rapid assimilation into college life that most college freshmen experience. The illustrations are clever and the rhyme is snappy - it is amazing how such a long, painful, heart-wrenching experience can be captured in a few stanzas of verse. It is, naturally, a fast read, but it will stick with you because it is so clever. I won this book as a Goodreads first read, and, as my youngest niece is off to college in the fall, I am sending it to her. 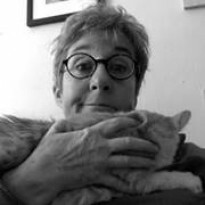 Any college-bound student or parent of a college-bound student would enjoy this little tale.